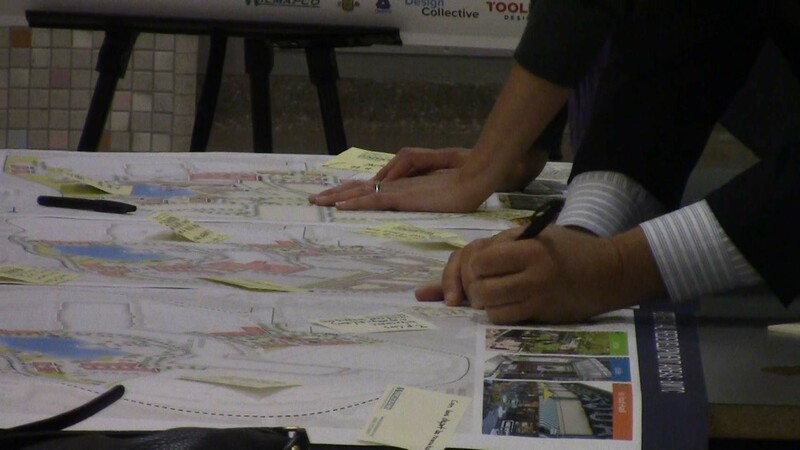 A team that's lead by Baltimore's Design Collective includes WILMPACO DelDOT, the New Castle County Department of Land Use, and the public's feedback is looking at the development of the Concord Pike Corridor from now until roughly 2040. The third meeting and second public workshop dedicated to the planning process was held at Brandywine High School Wednesday, March 20, 2019, and active community members attended in hopes of both learning and helping with input about plans for the area of New Castle County's second district along Route 202 from I-95 to the Pennsylvania state line. Andrea Trabelsi is the recently appointed assistant general manager of the New Castle County Department of Land Use and stressed the importance of the community being a part of the development process. "Each area of the county needs to be looking at their community with a more fine-grain way, and we want to be a part of that. We want to make sure that happens so that we have the best plan we can going into the future and looking at the next 20-30 years," said Trabelsi. "We want more people here, and in future planning meetings, to share their ideas, help us understand their visions--and collectively--as stakeholders, we can come together with a final plan that the desired future for quality of life in New Castle Country, especially the Concord Pike Corridor." Former New Castle County Councilman Bob Weiner has been a knowledgeable activist in the area and noted that the community does not want additional retail as a major component of Route 202's future, though it's already a vital part of it. Instead, he said residents want to see a better, more accessible flow with modern amenities that can serve a changing population. "What we have here is an amalgamation of all interests--our planners, the business and residential communities and multiple generations--because we need to understand that with the help of planners, we can visualize the process. We can implement long-term planning over a 20-year time horizon," said Weiner, who also noted that keeping the community ideal for everyone from retirees to millennials along Route 202 is key for the constantly changing population. "It's about mixed-use and what we've learned tonight is that retail is not in demand and that not everyone is going to want that 3,000 sq. ft., four-bedroom home. We also have to recognize that we have corporations that are nimble, like Incyte and J.P. Morgan, that can choose to live elsewhere, if their younger professionals don't have the kind of housing, transit, and entertainment integrated within their communities. We need to be nimble and help plan or we'll lose an array of economic opportunities."